DreamPod episode 14 is here folks, and it's a corker. Regular hosts Tom and Rob are joined by YouTuber and Dreamcast aficionado Adam Koralik; and also welcome the voice of Shenmue's Ryo Hazuki, Corey Marshall. 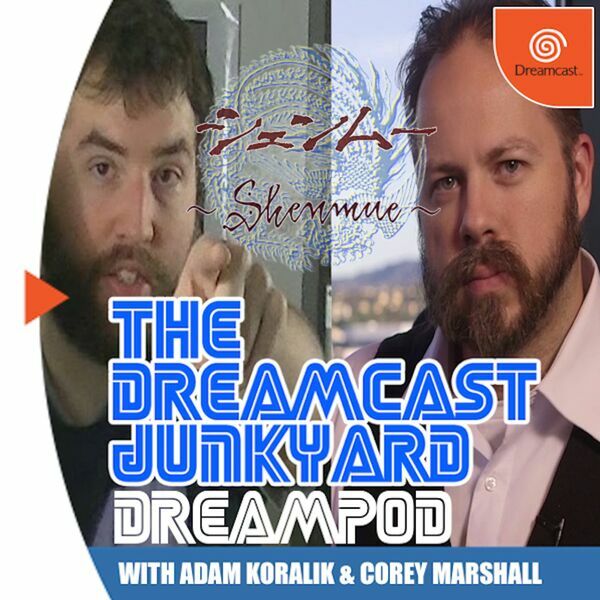 In this Shenmue-tastic episode, topics of conversation include how Corey got involved with the Shenmue series and he recounts some tales from the early days of auditioning for the role and being whisked away to Japan to record the game's dialogue. Corey also reveals details of a hitherto unknown version of Yu Suzuki's masterpiece, and how martial arts quite possibly saved his life during his formative years. Your hosts discuss how they each found out about the Shenmue 3 Kickstarter, and the perils of tweeting random pictures of burritos.